The 61-year-old tycoon is sought by authorities in India for allegedly defaulting on several bank loans amounting to nearly Rs 9,000 crore. 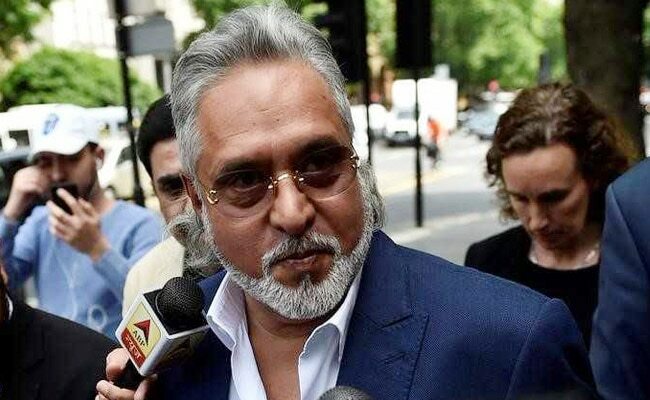 London: The Indian government has submitted the requisite "opening note" and paperwork related to Vijay Mallya's extradition case to the liquor baron's legal team within the UK court deadline, according to official sources. Chief Magistrate Emma Louise Arbuthnot, presiding at Westminster Magistrates' Court in London at the last hearing in the case on July 6, had set July 31 as the deadline for the Indian side represented by the UK's Crown Prosecution Service (CPS) to provide Mr Mallya's defence team with a detailed opening note on the case. "All matters are on track," official sources confirmed to news agency PTI in London. The next hearing to assess the progress in the case will be held at Westminster Magistrates' Court on September 14. Mr Mallya, who has been in self-imposed exile in the UK since March 2016, was arrested by Scotland Yard on an extradition warrant on April 18 and is currently out on bail. The CPS, arguing on behalf of the Indian government earlier this month, had told the court that they had "excellent cooperation" with the Indian authorities in the case and now had sufficient material to establish a prima facie case for the extradition of the former chief of erstwhile Kingfisher Airlines. "We have completed a review of materials and I am happy to state that we have had excellent cooperation with the Indian authorities in this case. We are ready and willing to proceed and would invite the court to fix a hearing date at the earliest, CPS barrister Mark Summers had said. The judge agreed with the CPS to "progress with some rigour" and retained December 4 as the date for a final hearing in the case. If the Chief Magistrate rules in favour of extradition at the end of the trial, the UK home secretary must order Mr Mallya's extradition within two months of the appropriate day. "We are on the verge of extraditing an individual from India to the UK in the next week or 10 days. The extradition treaty is working just fine and there is no difficulty in the extradition treaty. We have extraditions already successfully completed," Mr Mehrishi had said during his UK visit last month. So far only one extradition has taken place from the UK to India under the India-UK extradition treaty that of Samirbhai Vinubhai Patel. "He was extradited with the due process of law. We do understand that extradition does take time and there are multiple levels of appeal in either country and it is not the easiest of processes to complete. But being a liberal democracy that we are, we have to allow for the law taking its own course," Mr Mehrishi added. Vijay Mallya's extradition is also believed to have featured during bilateral talks between Prime Minister Narendra Modi and his British counterpart Theresa May on the sidelines of the G20 summit in Germany last month.